How many self-help books are already gathering dust on your bookshelves? Books on being a better parent or partner; on best new diets or fitness trends; on how to declutter your life or become more productive, creative … you name it. And be honest – how many of them have you actually read through? We pay for promises to change our lives –preferably painlessly – for the better, richer, healthier, and happier. 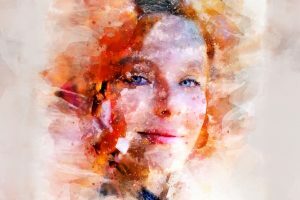 In the ocean of voices inviting us into another sacred chamber of self-transformation, the voices of those who suggest that we are good enough already are easy to miss. But they are out there, too – psychologists, sociologists, and philosophers who disagree with the modern fixation on positivity and perpetual self-development. One of them is Danish philosopher and psychologist Professor Svend Brinkmann. His book Stand Firmfelt entertaining and refreshing; it’s definitely worth giving it a thought. The pace of modern life is fast and accelerating. It’s hard to argue with that. Sociologists use metaphors like “liquid modernity” or “flexible capitalist consumer society” to describe the modern era of perpetual change happening in almost every aspect of our lives. Society demands that we are mobile, adaptive, and highly productive, goal-oriented achievers, both at work and in private life. But it’s not easy to keep up, wouldn’t you agree? We must succeed in life and be healthy and happy, too. To achieve that, we need to constantly develop, grow, and improve ourselves. We’re supposed to look inside to find who we truly are. And don’t forget to be positive, no matter what life throws our way. Nobody wants to feel bad, right? According to Professor Svend Brinkmann, the self-improvement movement has become a modern cult. And we, seeking to become self-sufficient, independent, and happy individuals, seem to be caught in a net of dependency. Not dependency on drugs or alcohol this time, but on self-development gurus. 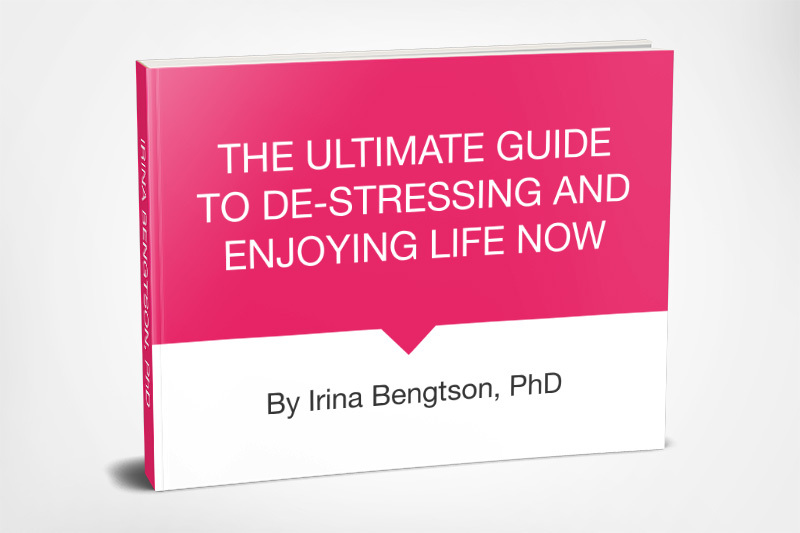 Our attempts to keep up with constant change come with a price – stress and depression, chronic fatigue and burnout. Our relationships with other people have changed in quality, too. “Something for something” sort of relationships. And not only at work, but in our private lives, too. Running after yet another goal and anxious lest we miss out on any opportunity, we may be missing out on life itself. Indeed, how well can you see what’s going on outside when you’re sitting behind the wheel of a speeding sports car? What Could We Do Instead? 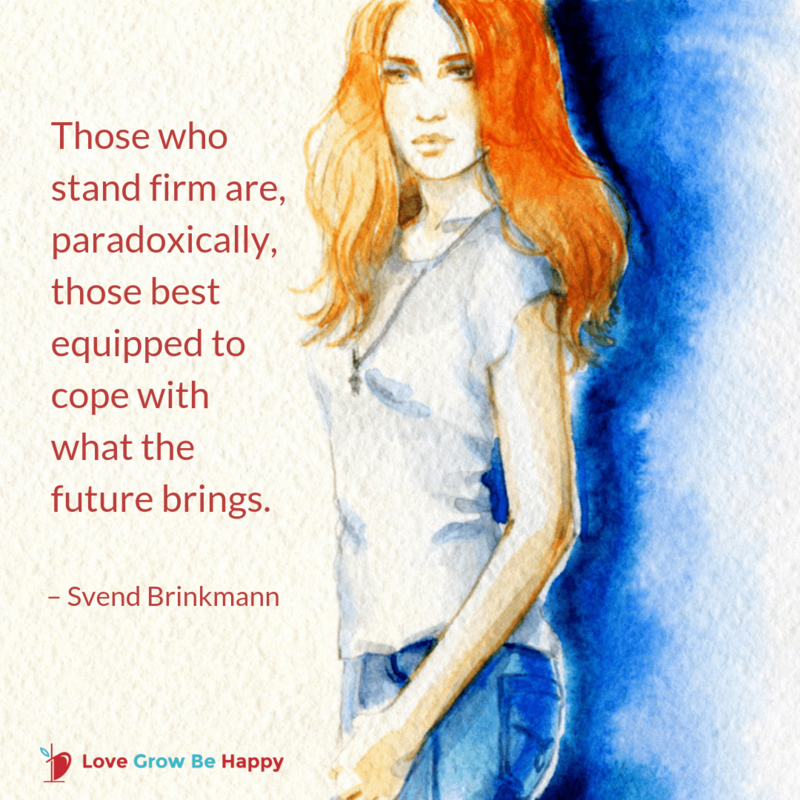 Brinkmann suggests that in order to survive in our accelerating culture, we must learn to stand firm. He finds his inspiration in the classical philosophy of antique and modern Stoics. In his book, Brinkmann offers seven steps to help his readers to acquire healthy skepticism over the self-development industry and find their own ground on which to stand firm. I hope you’re curious by now to read the book for yourself. My thoughts on the book and the author’s ideas are below. 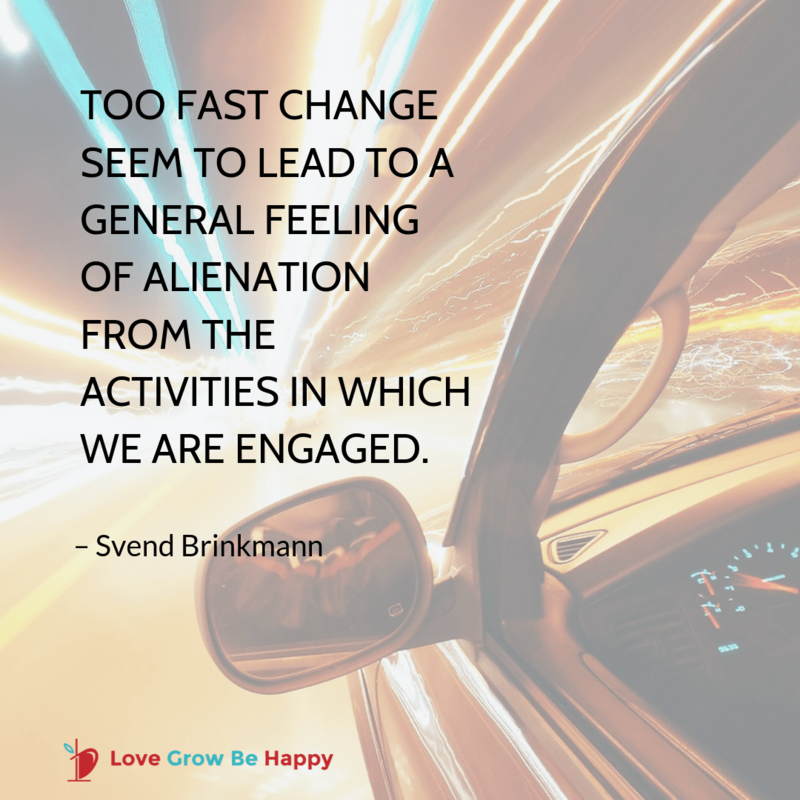 I find Brinkmann’s general idea of limiting self-exploration and turning outward timely and refreshing. Humans, unlike animals, have collective memories shared through books and unwritten stories, arts, science, architecture, movies, etc. We can’t find all the answers inside ourselves – that’s a myth. Here’re some suggestions from the book Stand Firm on what to do instead. #1 Don’t pay too much attention to your bodily sensations. Paying too much attention to our bodily sensations can turn you into a slave to your bodily urges, warned Roman stoic Marcus Aurelius. And we shouldn’t act on each physical impulse, either, because of moral grounds, health considerations, and other reasons. But how many of us reach for something edible at the slightest sensation from our stomach? According to the modern stoic William Irvine, we can train ourselves to pay less attention to our bodies through willingly experiencing minor discomfort. To prepare ourselves for inevitable discomfort in the future, and to strengthen our character, he suggests that we do something we don’t want to do. Something that doesn’t feel right inside but might nevertheless be right for reasons that have nothing to do with how it makes you feel. It doesn’t have to be big – just walk a few blocks instead of taking a bus, ride a bicycle in the rain, or say no to dessert. #2 Don’t always trust your (gut) feelings. Feelings tend to change under influence from the outside world. It’s possible that you will feel differently about something just a few moments later. “The point is that gut feelings aren’t sensible by nature. If you really feel like eating a biscuit but have a serious nut allergy, you’d end up cursing your gut feeling if you scoffed one with almonds in it. #3 Bad things happen without invitation and we should not ignore them. On the contrary, we should pay attention and even complain. To complain is part of human nature and it increases our awareness about what’s going on. So we must be allowed to complain and criticize; otherwise, bad things may never change. Don’t pretend to be fine if your cat just died, crushed under a passing by car. Accepting negativity along with positivity frees us from the pressure of being constantly cheerful and smiley. When life hits you in the face – and it will – go ahead and complain about it! #4 When things are not going our way, remembering our mortality may help to appreciate and enjoy life more. Reflecting on an inevitable death every day, as Stoics suggest, may be too much, I admit. But living as if we were immortal is no good either. Accepting death is a part of the package helps us to appreciate life even more. Write your own bucket list – it may help you to gain a new perspective and change a few priorities in life. Life feels more exciting when I remind myself that it will end, and I don’t even know when. #5 Having doubts is a good thing. It’s good to be certain about some things. And it’s definitely okay to doubt something else. Should you say yes or no to that new job? Should you have kids now or later? Or should you choose this line of business or another? Doubt helps us to investigate matters deeper, to clarify, and to find more grounds to build a decision upon. #6 As grown-ups, we must learn to control our emotions. In the past few decades, we have been constantly told to express all kinds of emotions while we experience them, here and now. “We have lost our sense of ‘civility’ or politeness, which Sennett defines as social conventions that protect people from each other but still let them enjoy each other’s company. We are encouraged to “unmask” and be authentic all the time. In doing so, according to Brinkmann, we are hurting each other unnecessarily. 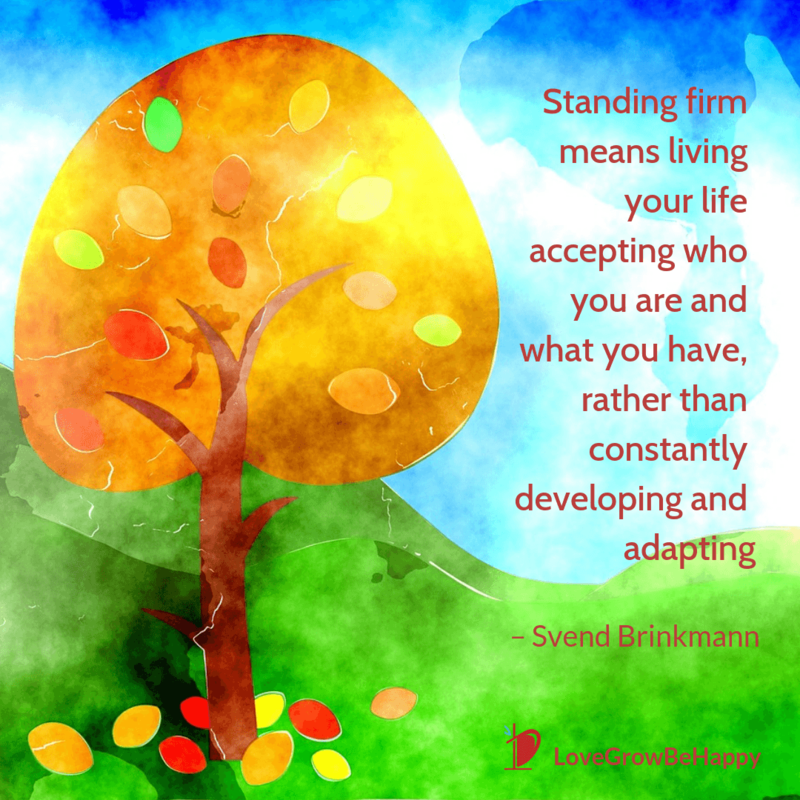 Standing firm means living your life accepting who you are and what you have, rather than constantly developing and adapting, according to Brinkmann. It means knowing your roots and moral grounds, being able to say no and protect your integrity when necessary, slow down, and reject the tyranny of coercive positivity. Knowing your past is essential for being able to stand firm. This proverb exists in many languages for a reason. Too much negativity, complaining, and criticism will not do you or your relationships any good. Saying no to everything is just as bad as always saying yes. And here it becomes tricky. Sometimes we need to change and move forward. This is when self-development can be effective. 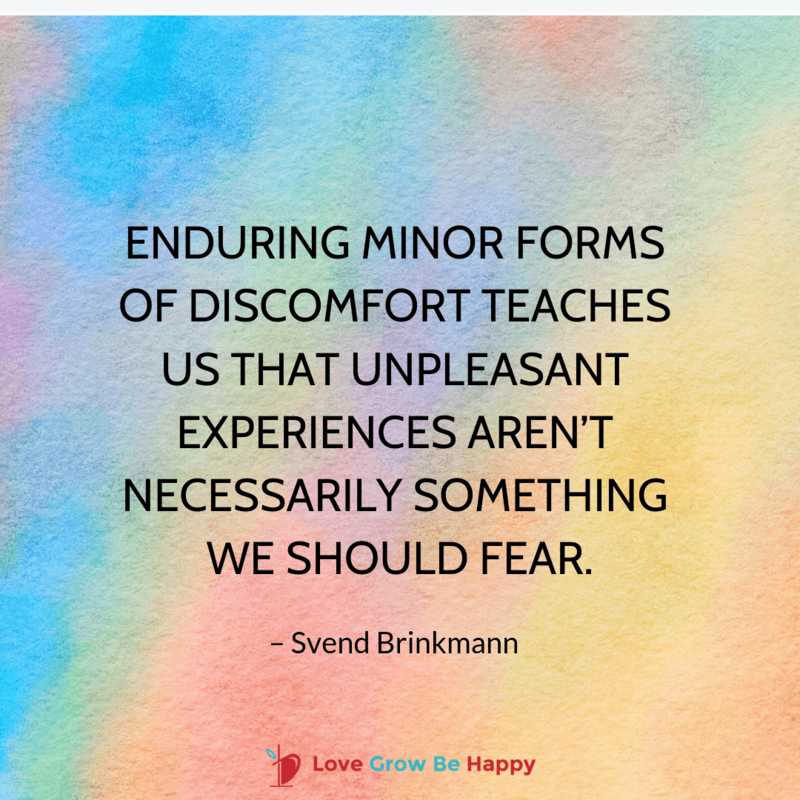 And sometimes, as Brinkmann asserts, we need to slow down and stand firm. There is no universal recipe that fits everyone in all circumstances. Sorry! You have to try and learn for yourself. Being you is thinking for yourself. Share what you find most helpful in the comments below or send me a private message. Visit my Facebook page. Join me on Instagram, Twitter, or Pinterest. And if you enjoyed this article, share it with your friends. Thank you! I feel guilty enough about undone things on my to-do list so why add another to-do item such as, “read latest Self-Help Book of the Month Club selection”. The perpetual self-help student may be reading endless self-improvement books to avoid putting on their mental work gloves and digging in to begin needed repairs. This article makes me feel O.K. with myself. YES! I can’t help but think some self-help books may send a message that we are not good enough and need to be someone we’re not.